Adobe has announced some significant new features that will be added to Creative Cloud. The big news here is support for 3D printers, which will benefit designers who use Photoshop as a finishing tool for 3D content. If you’ve already signed up as a trial user, Adobe said it’s resetting the 30-day trials for every user so that they can try out the new features. Adobe also said they’ve added hundreds of tutorials that guide folks on how to use many of the features in Creative Cloud. Adobe’s Terry White used this update as an example of the benefits of Adobe moving to the cloud platform. He said that it allows Adobe to update its software more often with new features and upgrades, as oppose to the old 18-month product cycle. 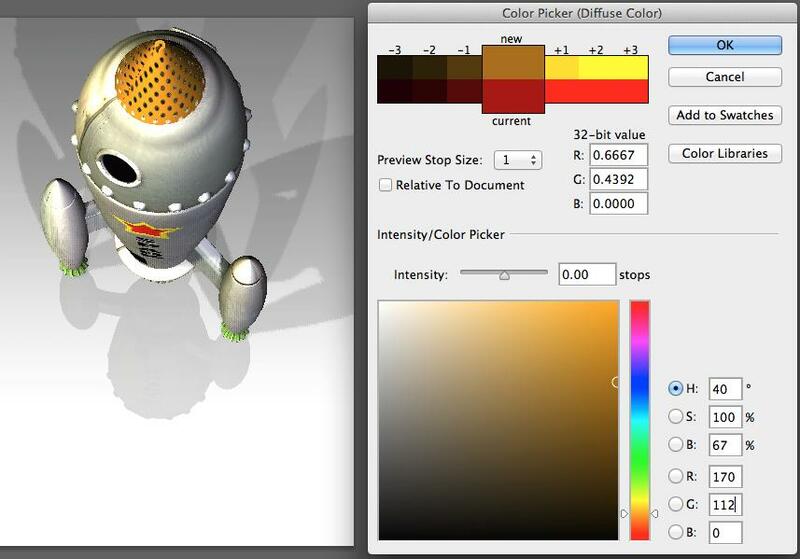 Using Photoshop CC as a finishing tool, you can apply colors to a 3D model using the new 3D menu options. You can’t use Photoshop to construct 3D models, however, as you’ll still need to pull the models from other sources. “Very rare do people create content from scratch in Photoshop, but they bring content into Photoshop,” Lauta said. As mentioned, Photoshop is meant to be the finishing tool before your project hits the 3D printer – something many designers have already been doing, as Adobe has noticed. For example, most 3D models don’t have color, so designers would use Photoshop (or some design program) to add colors or overlay a JPEG image as texture. With this new feature, users can now easily use Photoshop to clean up, preview, and prep their designs; as you would with a normal paper printer, you’d hit the “print” button and send it to the 3D printer. It makes 3D printing single-click easy, and what users see on the screen is what they’ll get, Lauta said. Photoshop supports OBJ, FTL, 3DS, Collada, and KMZ file formats. Photographers, not just product designers, can utilize the new feature too. They can now utilize the 3D options to create a 3D rendering of a photograph, or what’s called a lithopane. 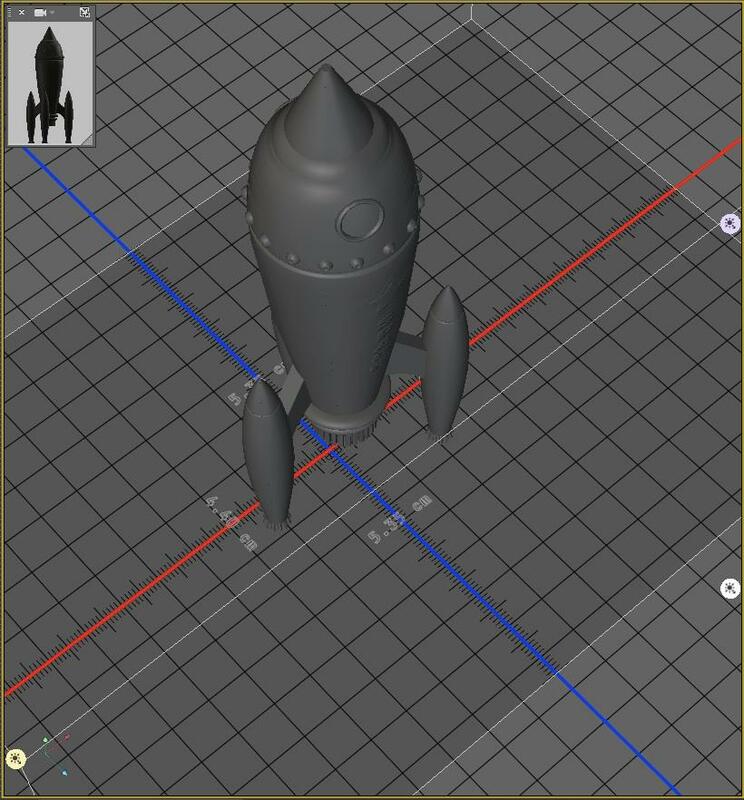 Prepping a 3D model for printing to a MakerBot 3D printer. Out of the box Photoshop will support the most popular 3D printers like the MakerBot Replicator 2. If a 3D printer isn’t supported, users can save their project as an FTL file to a thumbdrive, and plug the drive directly into a printer. Eventually more printers will be added, but Lauta said for this first release Adobe wanted to start with the most popular models first (Adobe worked directly with MakerBot to ensure compatibility) and work from there. However, Lauta said the printer support is an open architecture and Adobe is providing documents on how to create printer profiles (it’s essentially an XML file). If you don’t have access to a 3D printer or you want your models created in a variety of materials and finishes, Adobe is partnering with Shapeways as well. From Photoshop you can have your project sent to the online 3D printing service to have your project printed. When you hit “print,” it would create the finished object and make it print-ready for Shapeways, Laura said, and Photoshop would switch over to a browser, to a custom landing page for Photoshop customers. From there you’d upload the object to your Shapeways account and go through the checkout process. Besides support for 3D printing, there are other notable new features too. There’s Perspective Warp, which lets you manipulate an object dropped into a composite image, helping you easily blend the object into the background. To use, you simply draw boxes around the areas of an object you’d like to alter, which you can then pull and stretch until you’re satisfied. “You can correct complex distortions that can’t be fixed with other tools, turn a telephoto-lens shot into a wide-angle shot (and vice-versa), or even change the viewpoint from which the object is seen. Perspective Warp is also fantastic for seamlessly combining multiple images together that have different vanishing points,” wrote Stephen Nielson on the Adobe blog. Check out Adobe’s blog to read about the other Photoshop enhancements. It’s not just Photoshop that saw updates. Improvements have been made to Typekit, where the program will now automatically search for missing fonts or find suitable replacements. In Illustrator, the pencil tool has been improved to make it easier to draw; a new Live Corners controls for easily creating rounded corners; and Path Segment Reshape for modifying objects and changing view of perspective drawings. InDesign now supports the EPUB 3.0 spec for adding interactive features and footnotes into e-books. Click here to head to Adobe to read more about the new features, including Adobe Muse.